We provide free express shipping Australia wide and free worldwide shipping using DHL eCommerce. Please click here for more info. We provide 60 day returns from date of shipping. 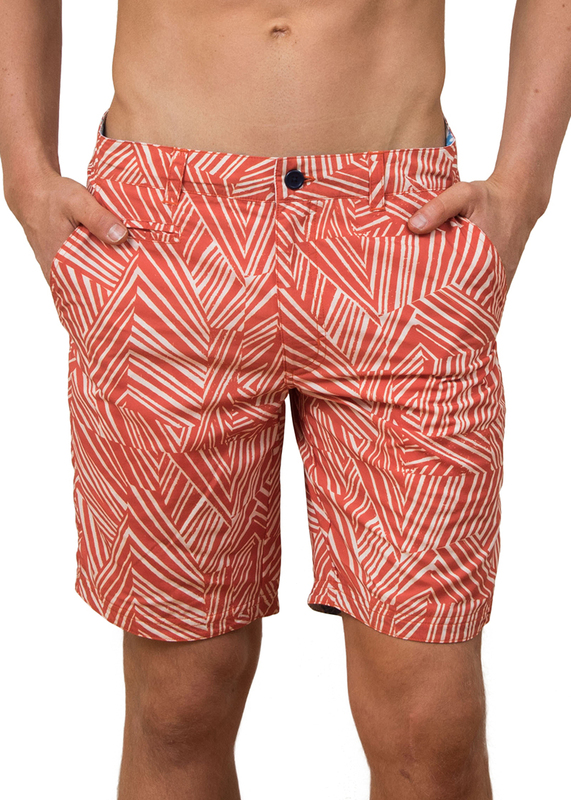 Sending shorts back to us is inexpensive. Please click here for more info. 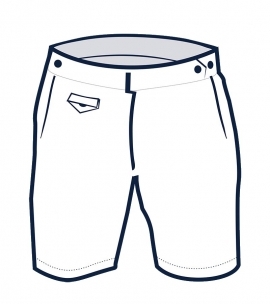 Blueys mens board shorts are a traditional board short with a longer length leg and a regular fit. 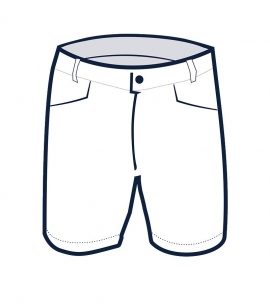 These shorts end just above the knee and have a single button fly and zip and an internal drawstring to make them adjustable. Made from Italian yarn which is recycled drift nets salvaged from our oceans, the fabric is soft, strong and quick drying. These board shorts do not have a mesh liner. The cream breton print is inspired by nautical simplicity, the soft cream sets off the charcoal stripes and these shorts will look great with any colour on top. 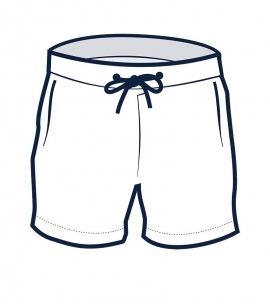 Our swim shorts include a waterproof wallet which slips into your back zip pocket and will keep your phone and keys dry while you get wet, tested to 18.2m. Our shorts come packed in their own carry bag made from recycled plastic bottles, for easy packing. 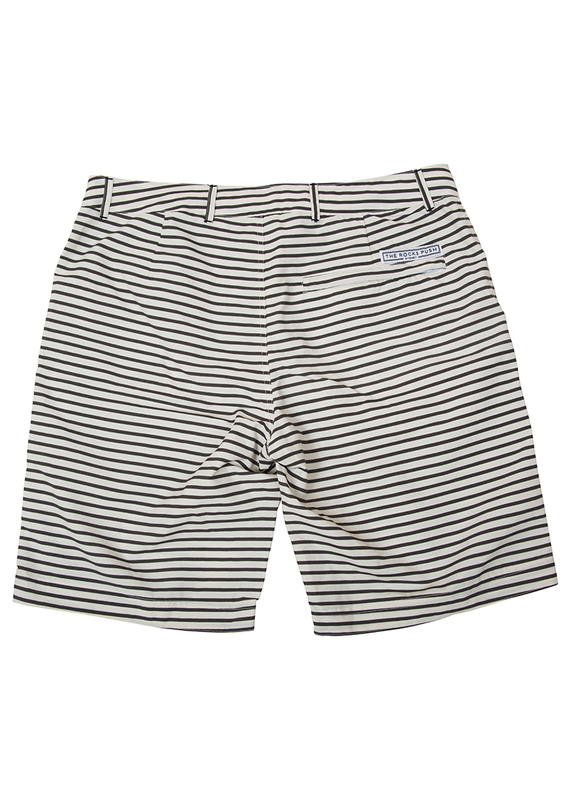 Our Blueys mens board shorts are a traditional longer length board short with a regular fit. 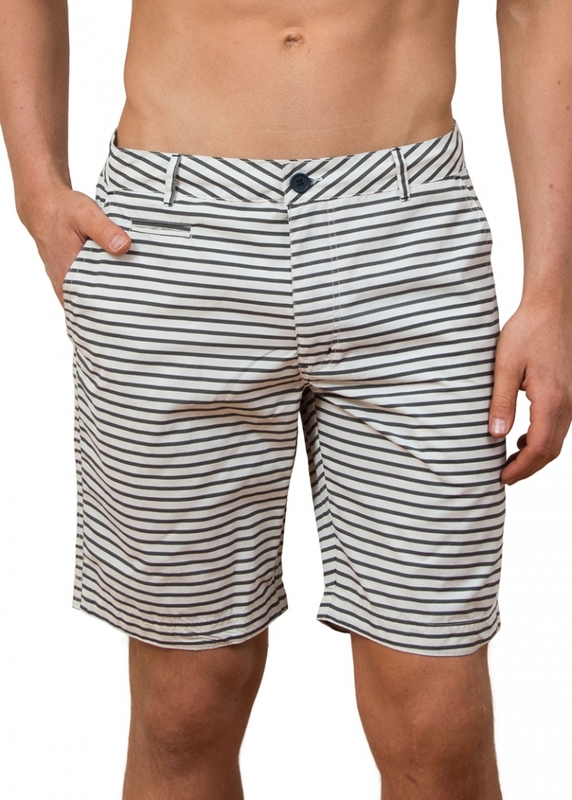 These shorts end just above the knee and have a single button fly and zip and an internal drawstring to make them adjustable. Made from Italian yarn which is recycled drift nets salvaged from our oceans, the fabric is soft, strong and quick drying. These board shorts do not have a mesh liner. 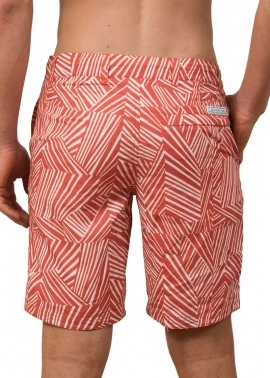 The diagonal print is inspired by aztec designs and the rust red is very on trend. 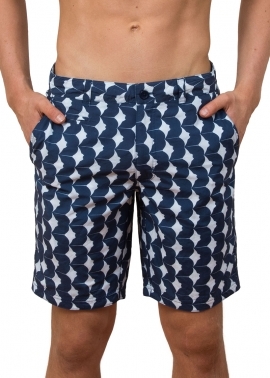 These board shorts will look great with a white tee and white trainers. Our shorts include a waterproof wallet which slips into your back zip pocket and will keep your phone and keys dry while you get wet, tested to 18.2m. 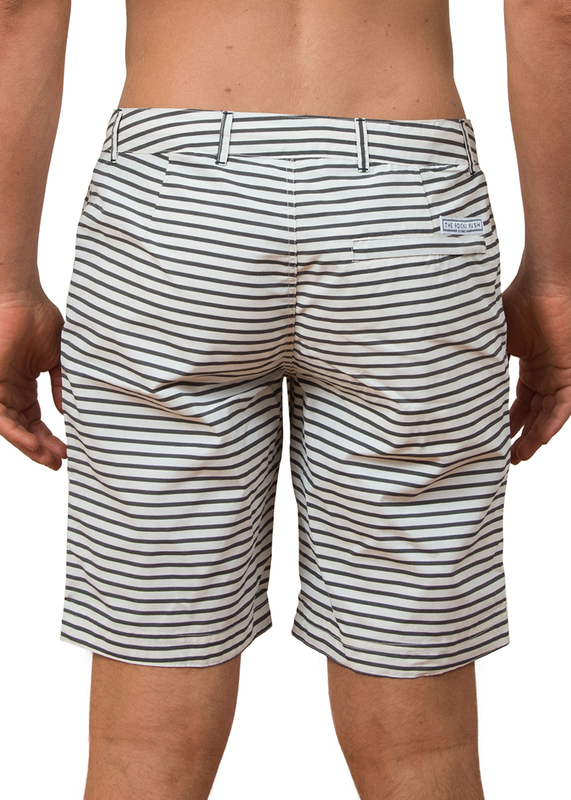 Our shorts come packed in their own carry bag made from recycled plastic bottles, for easy packing. 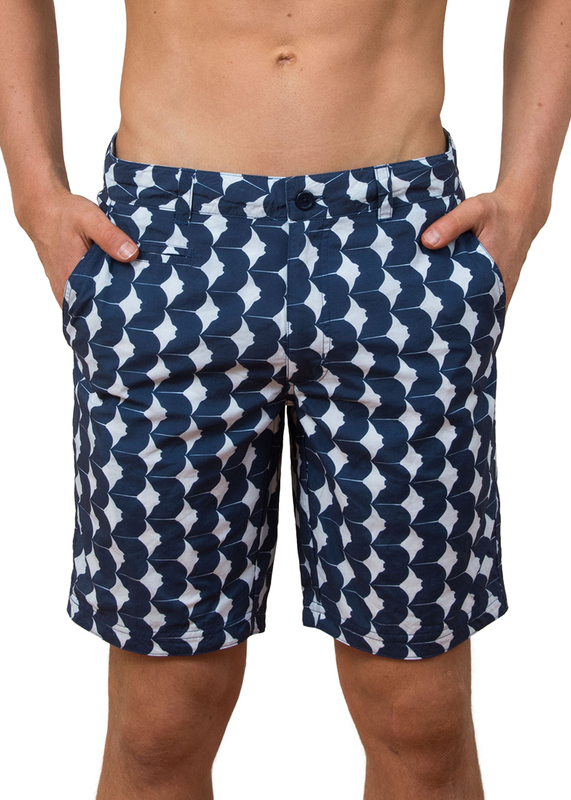 Our Blueys men’s boardshorts are a traditional boardshort with a longer length leg and a regular fit. 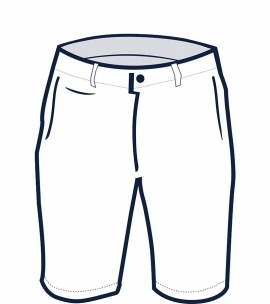 These shorts end just above the knee and have a single button fly and zip and an internal drawstring to make them adjustable. 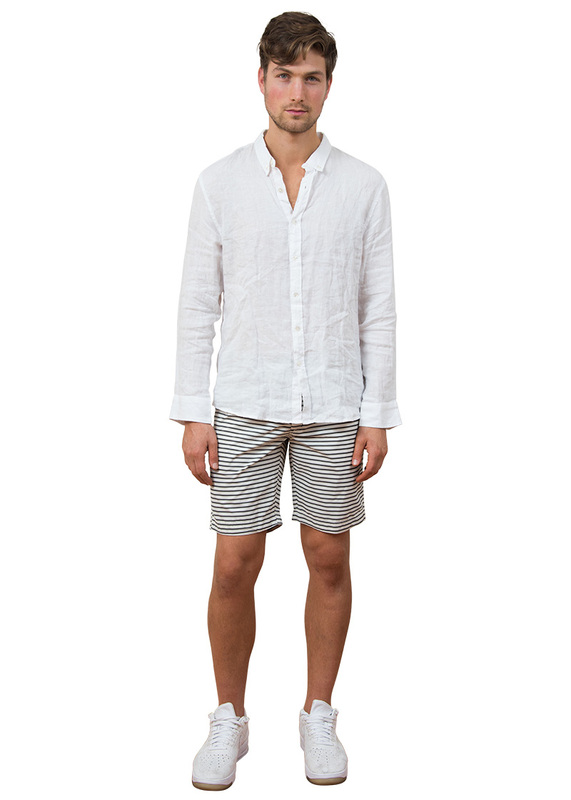 These mens board shorts do not have a mesh liner. 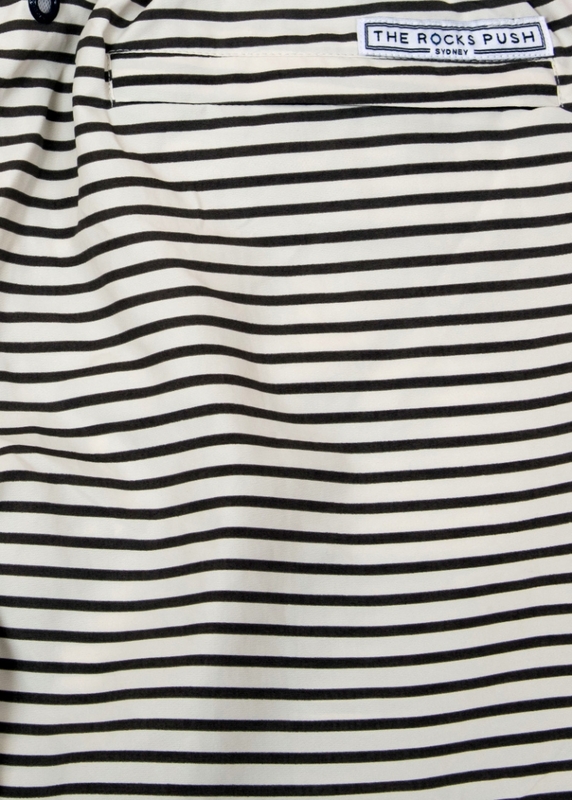 Made from Italian yarn which is recycled drift nets salvaged from our oceans, the fabric is soft, strong and quick drying. The rays print is a nautically inspired classic, the manta rays cruising across the fabric with the aloof attitude of our butterflies of the ocean. The fresh colours will make a statement on the sand or at the bar.